You are here: Home » Another Hot One! 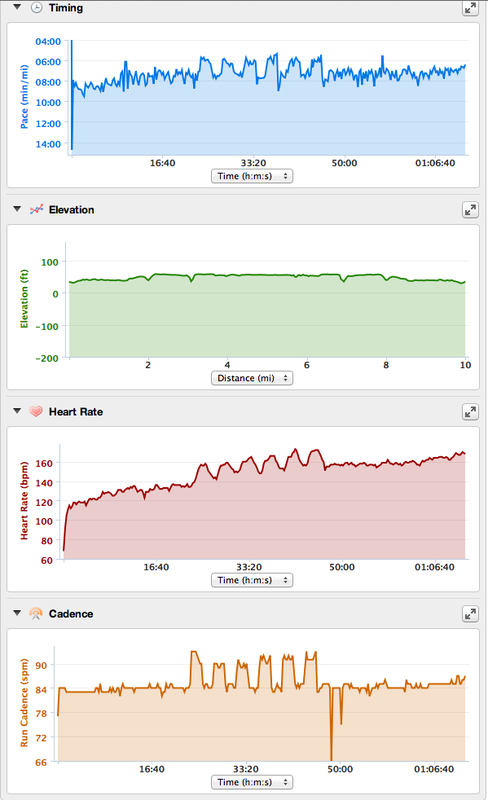 10 Miles with 6 x 2min @ 6min/mi Pace..
Another Hot One! 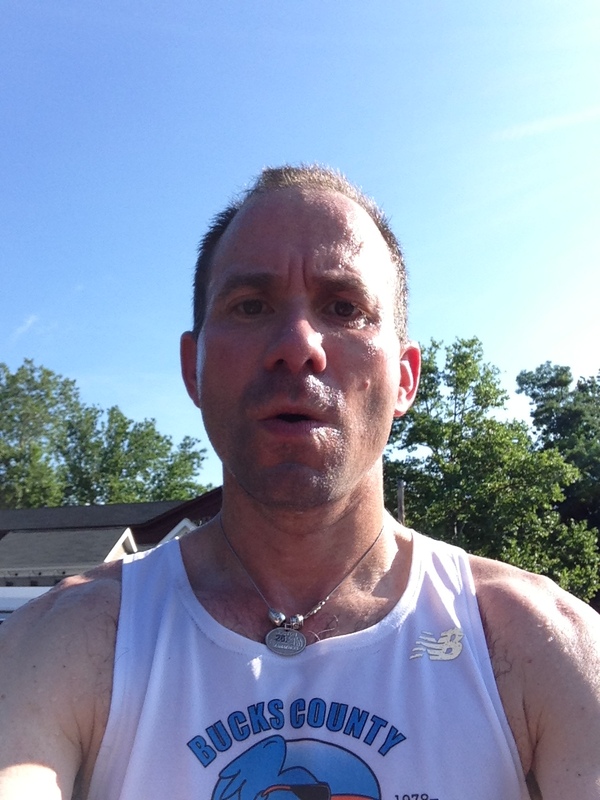 10 Miles with 6 x 2min @ 6min/mi Pace..
Self Pic after Workout – Yeah it was HOT! The heat wave continues! This is good for my training for the Maccabiah Half Marathon. I started earlier but on the canal it was already hot and humid. Again, I have been working hard to hydrate properly. 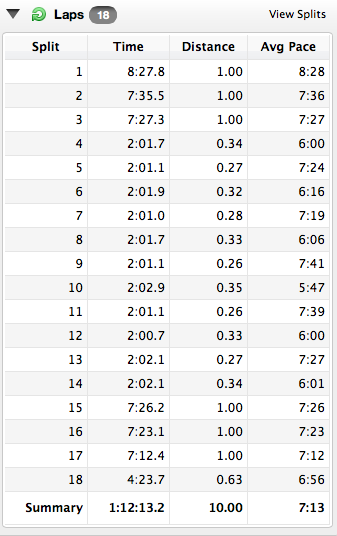 Today’s workout was 10 miles with 6 x 2 min at 6 min/mile pace. Due to the pickups I did not carry water with me. I therefore really made sure to hydrate well before this one starting last night. Water with electrolyte tabs. This seems to be working. It was hot for sure but the pace felt easy. I did feel yesterday’s run and the race on Thursday while doing the pickups but not so much that the workout felt too hard. It also would have been easier to have some folks running with me but it was good to push my self alone in the heat. I do think that really helps come race day. If one can push alone in tough conditions it is much easier to push on race day! After the run I saw CT and Alyson from the BC Speedsters and Joe Boyce from BCRR. Joe was kind enough to give me a few more electrolyte pills and I needed them! Thanks Joe. 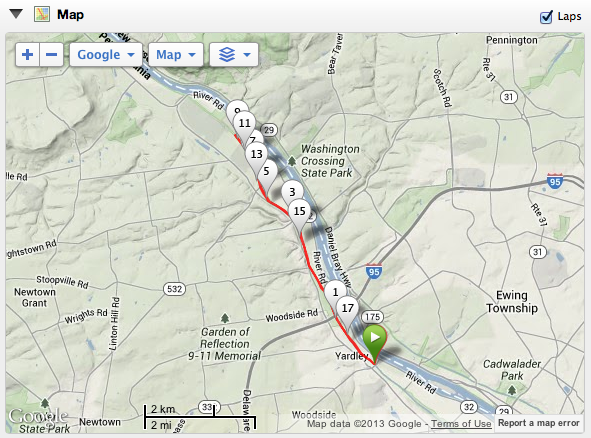 18 miles on tap for tomorrow. 10 days until I leave for Israel. Just a bit more hard work! The goal is in sight!!!!!!!! !